I grew up in the days of Sony Walkmans. I had a cool one. 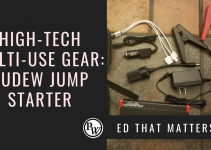 It had an EQ and BASS BOOST. I would carry spare batteries and pop in the newest tape, the good ol’ days! Although we did sit around the TV in the front room as a kid to watch Prime Time shows, I’m not old enough to have lived in the real “good ol’ days.” I don’t really remember the black and white era of TV. I’m definitely not old enough to have lived through the times when the family gathered around the radio to hear the latest tunes and radio programs in the evening. 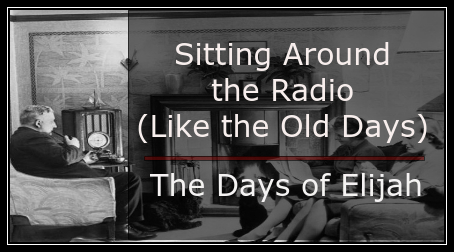 I am fortunate enough to have known my grandparents and heard the stories of when they would sit around the radio, that was real entertainment! In fact, my dad and I were just talking about how real the radio program, The War of the Worlds, was to those who listened to it back in 1938. My dad also recalls having the first TV in the neighborhood. My grandfather would put the TV on the front porch so the neighbors could watch it too. We think back to those days as safe, clean and respectful. The entertainment didn’t need naked girls running around and the characters didn’t need to use four letter words every other sentence. Many of us would love to go back to that simpler time. 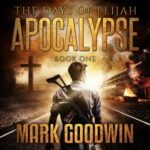 Mark Goodwin, of Prepper Recon, is releasing episodes of his new book, The Days of Elijah, Book One: Apocalypse-A Novel of the Great Tribulation in America, every Friday, starting October 7, 2016. The Days of Elijah is the story of Everett, Courtney and Elijah after the Rapture of the Church, and how they experience The Great Tribulation. As in all his books, Goodwin does a good job of mixing fiction with practical preparedness help. One interaction between the trio revolves around stashing supplies in various places to have options in case one supply is compromised. Then there is the spiritual and Biblical aspect that Goodwin weaves into his story. He states very plainly in the forward that not everyone would agree on his timing of the events of The Book of Revelation. 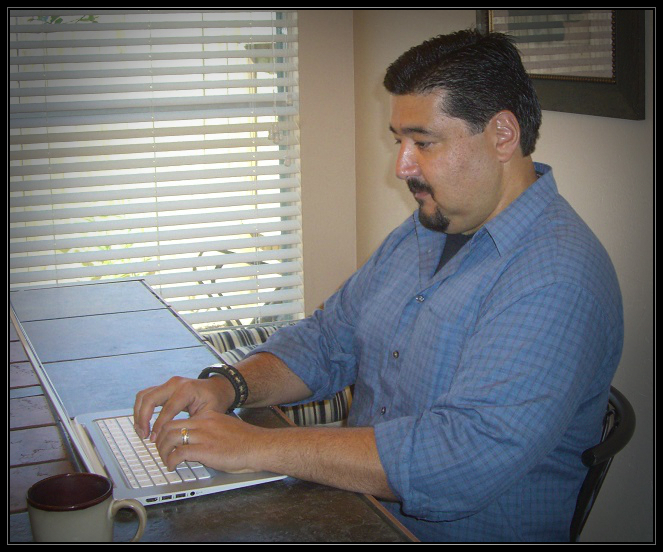 He says that for the purpose of the story, some might consider his view a hybrid. Like his other fictional books, Goodwin goes into depth discussing End Times Prophecy, as well as other Biblical matters. His writing will definitely get you thinking. Even though you might not agree with his take on the Book of Revelation (*see note below), the story is a great one to read or listen to. In fact, I have become so accustomed to listening to the “voice of Goodwin’s books”, that I actually miss the voice when I listen to other audio books. 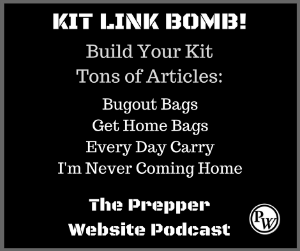 CLICK HERE to visit PrepperRecon and listen to the episodes that have been released. Remember, Goodwin will release one episode a week on Friday. If you don’t want to wait to listen to Goodwin’s free episode every Friday, you can purchase the audio version for a reduced price on Goodwin’s site. By clicking here – you can purchase the audio book for only $11.95. If you would like to purchase the paperback or Kindle, you can do so from Amazon. After reading a story like The Days of Elijah, some people might think, “What’s the use?” The thing to remember is that no one knows what an economic collapse or End of the World scenario is really going to look like. The point is to be prepared. The more you are prepared, the more you can be confident in facing the future. For those who are seeking guidance on being prepared, Goodwin, provides a FREE 67 page ebook on his website. 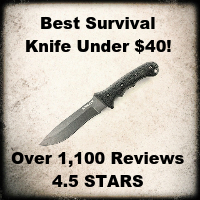 The ebook is a collaboration with David Kobler, SouthernPrepper1. If you are looking for some guidance or advice, you should download his ebook. 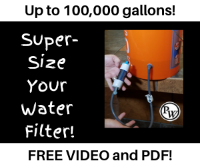 For a direct link to his download page – CLICK HERE. * I have written before, that my views on End Times Prophecy is to know or have a good familiarity with all the views and then keep my eyes open. I think a closed minded “my way is right” view to End Times prophecy is not productive. 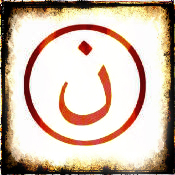 I always think about what happened to the religious leaders in Jesus’ time. They were looking for a specific type of Messiah. They missed the real one right in front of their face. They got it wrong! 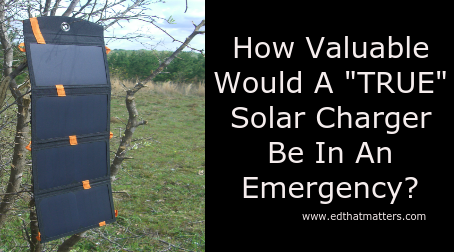 How Valuable Would A “TRUE” Solar Charger Be In An Emergency? The Kogalla Solar Storage Bank Review!